With over 50 years experience we pride ourselves on attention to detail, bringing your bespoke vision to life. We want your product to be the envy of all who see it so take great care in sourcing the best materials and hand finish every detail. High quality materials combined with our expertise allows us to offer some of the finest stone products throughout the UK. From quote to installation we take away all the hard work and stress, we provide a first class, hassle free service, complete with aftercare. We will supply, fabricate and install your dream surface. 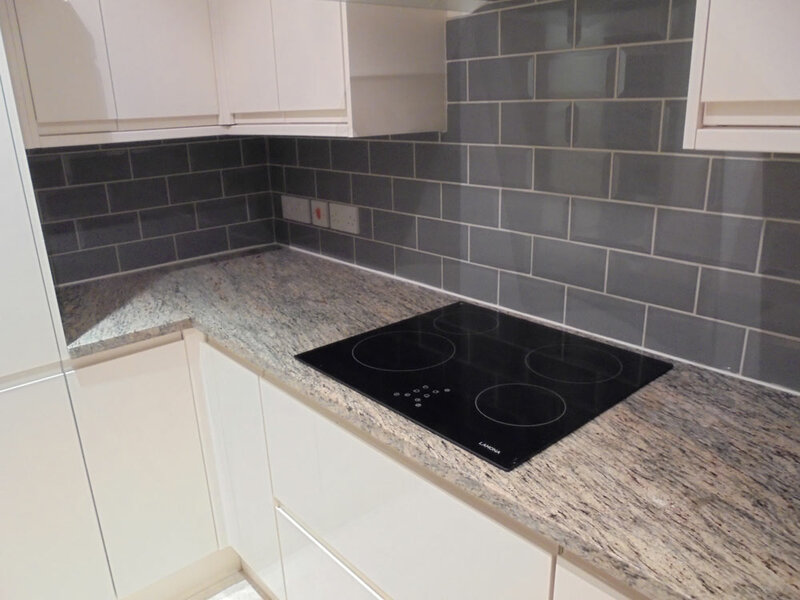 From countertops with full height splash backs to a stunning island centre piece we can cater for your every need. With our expertise we will make your dream kitchen a reality, we will template every details before we hand finish your bespoke surface. With numerous finish options each and every vision can be affordable yet just as stunning without compromising on quality. Custom vanity units, shower and bath surrounds to full wall panelling we’ve done it all, your bathroom can never be too luxurious, relax with beautiful stone finishes. Let us produce a masterpiece that you can enjoy for years to come. One final tribute, why shouldn’t it be beautiful? We’ll work with you to get your design just perfect. Our time served stonemasons will hand carve all those little details, from new stones to additional work we can accommodate your every requirement. Granite for granite worktops usually comes from China, India, or South America in over a hundred different colour patterns. Each country has several different colour and pattern variations unique to that part of the world. Granite is a dimension stone with naturally occurring variations in colour and pattern. These variations, referred to as “movement”, are the source of its natural beauty. Also, keep in mind that the veining in the granite can effect colour perception. Sometimes different grains occurring in the same slab will make the slabs appear to be different colours. Mineral concentrations in granite varies somewhat within any given colour and pattern, and may produce patches that appear darker or lighter. Stain Resistant – Quartz is a non-porous surface and highly resistant to stains such as coffee, wine, lemon juice, olive oil & vinegar, make-up and many other everyday products, making it a perfect choice for durability in busy areas such as kitchens and bathrooms. Scratch Resistant – Being one of the hardest materials on the planet Quartz will stand the test of time, its durability makes its very resistant to external aggression such as hot pans and chopping. Colour – With a massive range of colours Quartz will suit every budget and style. From Bright green and red to subtle neutrals Quartz has got it covered, Quartz it also available in a huge range of patterns from big and bold to soft and calm. Contact Us for a hassle free, no obligation quote, we provide a nationwide template service and all our products will be fabricated in our factory. You pay nothing up front and only pay when you are completely satisfied. All granite products come with a complimentary after care kit.